We are excited to announce the second eTextile Spring Break Community Social on Saturday, April 13 from 2-6 pm hosted at the amazing Wassaic Project. Join us for an afternoon of eTextiles, a practice that embeds electronics into textiles using conductive fabrics, threads, and yarns. All ages and interest-levels welcome! 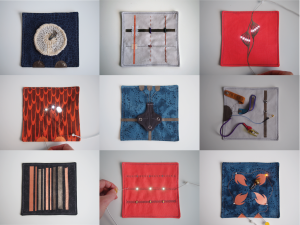 Lab Demos – Machine sewing conductive thread? Weaving sensors? Vinyl cut circuits? Check out these demos from experts. Schedule coming soon. 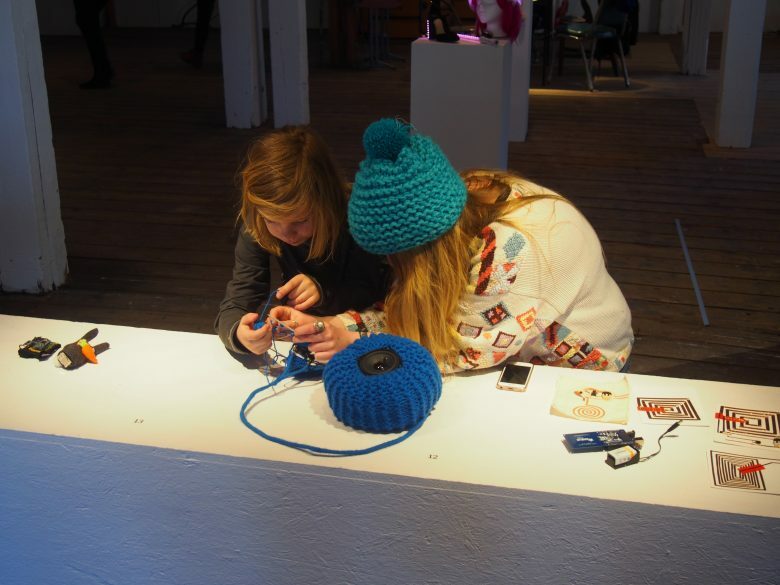 Workshops and demos will be on a first come, first serve basis. 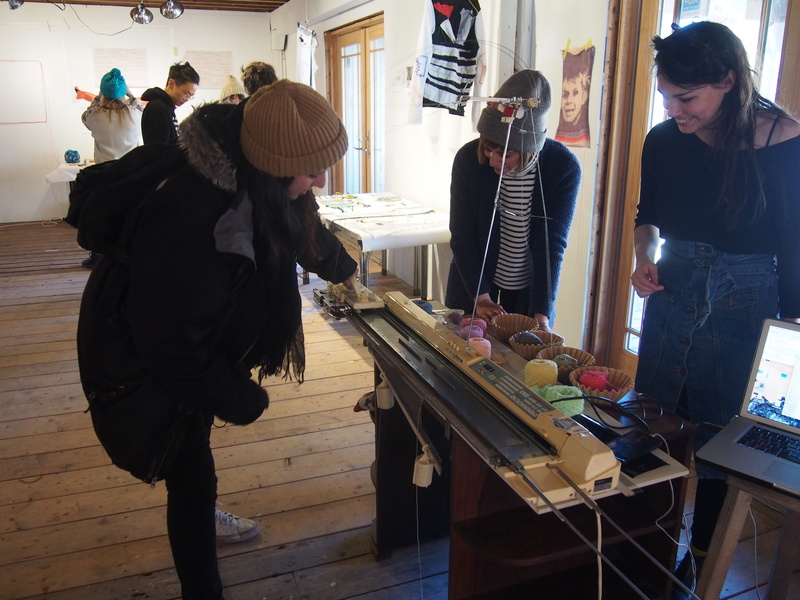 Audrey and Afroditi guide a Social go-er on how to Knit Ur Face using a hacked knitting machine. 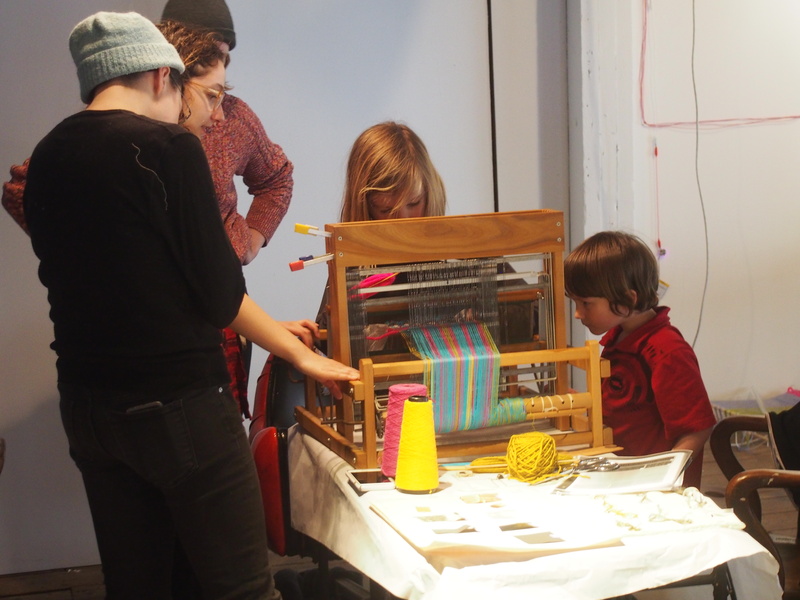 Interactive and experimental tapestries from Revel Off the Grid. All are welcome and we ask that you please treat everyone you meet at the social with respect. eTextile Spring Break is dedicated to providing a harassment-free conference experience for everyone, regardless of gender, gender identity and expression, sexual orientation, ability, skill level, physical appearance, body size, race, age or religion (or lack thereof). You can find our full Code of Conduct here. 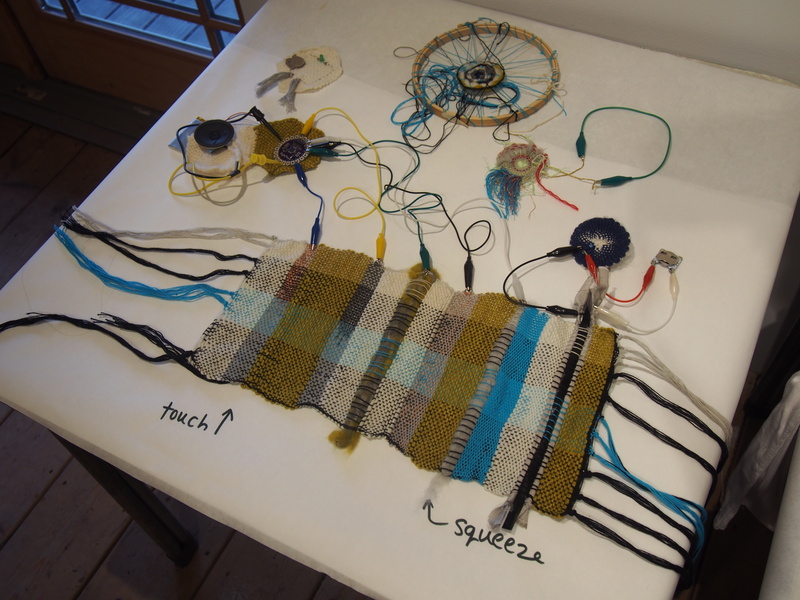 The Wassaic Project is located in Wassaic, New York. It has ample parking and is easily accessible from New York City via the MetroNorth Harlem line. Please note that entering Maxon Mill at the Wassaic Project does require climbing a small set of stairs. Lab demos will be held on the second floor, which is only accessible by stairs. If you have any mobility concerns about accessing any of the events, please let us know.